Website designed and rebuilt in Feb 2016. The newsletter and other news can be put on it as 'blog posts', meaning that they are easily found by people searching for things and links nicely with Facebook. Facebook page created and slowly building up followers. It is crucial for attracting younger members and currently provides 30% of the website's visitors. We spend time each week looking for potential members via our networks (online and offline). We promote the newsletter and individual events via Facebook (including through other expat groups) with enough notice. Far more notice needed to publicise events - min 6 weeks. Too few events, especially for younger members/families. Agreement as to who is updating the events calendar (I hope Rebecca will agree to do it). Plan for August through to December now if possible (June). More events. Ideas for getting current members to use the website more. Possible running group on Sunday - committee approval needed. Website visitor numbers from the launch of the new site in February 2016. 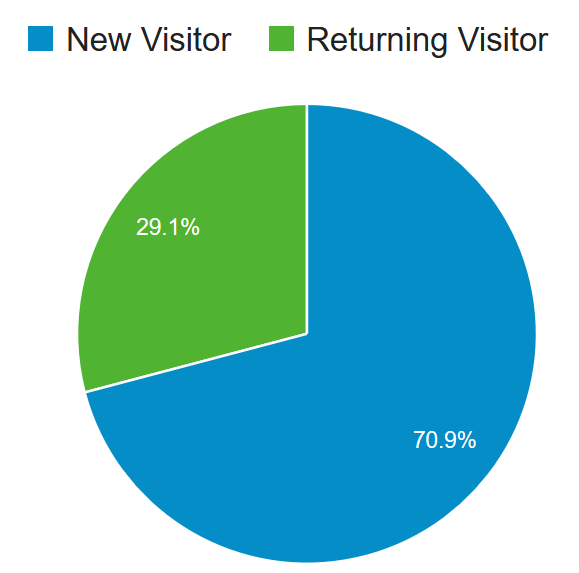 The number of visitors to the website is gently building up as you can see on the chart above. As long as this trend continues, we are on track. Only 30% of website visitors are returning, so 70% are new which is too high. We need current members going to the website each month. This should improve naturally as the average age of members comes down but we need to work to help it too. Facebook sends us 30% of our visitors. We have 57 followers (see below) which isn't very many - to take advantage of all that Facebook offers, we need to get this up above 100 by the autumn.